Barcelona have had another massive bid for Phillipe Coutinho turned down, as Liverpool continue to remain firm on their stance that the Brazilian will not be sold. Liverpool are reportedly furious about the whole saga, and have slammed Barca, bluntly telling them to not bother coming back. 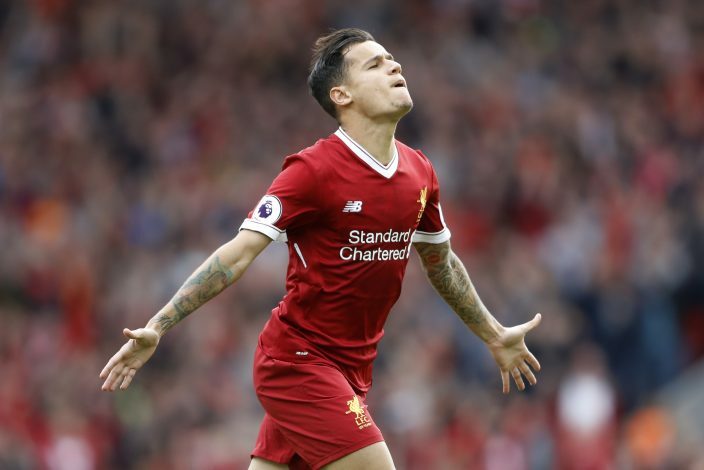 The Catalan club’s interest has unsettled Coutinho, who has asked his Anfield employers to let him leave the club, and it is directly affecting the side’s start to the new season. The Brazilian is hands down the best player at the club, and his absence was telling as Liverpool were held to a 3-3 home draw to Watford on the opening day of the season. Jurgen Klopp knows exactly how important the attacking midfielder is to the club’s fortunes, and he will hate the fact that he is being forced to constantly leave his best player out of the squad. The Reds have been stating that the 25-year-old is only being left out of the side due to back issues, but it is clear that the lingering doubt over his future is the true reason that he has been kept away from match day squads. Barcelona have also angered Borussia Dortmund this summer with their unceasing attempts to sign Ousmane Dembele. The Bundesliga giants are holding out for an incredible £140 million, which is about £50 million less than what their La Liga counterparts are offering. Having let Neymar depart to PSG this summer for a ridiculously huge sum of £198 million, they have got a lot of money in the bank to spend. However, with the prices both Dortmund and Liverpool are holding out for their respective stars, it is highly unlikely that Barca will be able to sign both players this summer. It is now a question of which club resigns to losing their player first.